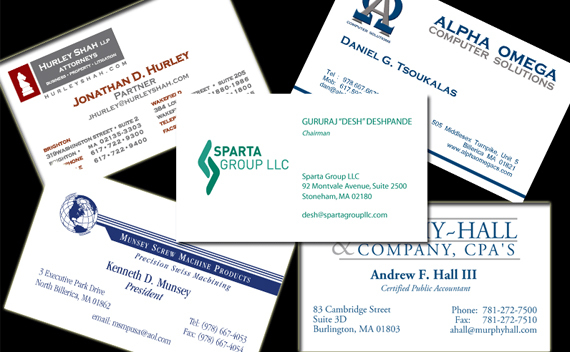 Billerica, MA, based Printers and Graphic designers is a professional, creative services business set up that provides low cost, high quality printing. Some of the creative services that we provide are: Advertising, Branding, Brochures, Business Cards, Direct Mail, Graphic Design, Logo Design, Marketing, Outdoor Advertising, Packaging, Promotion, Public Relations and Web Site Design. 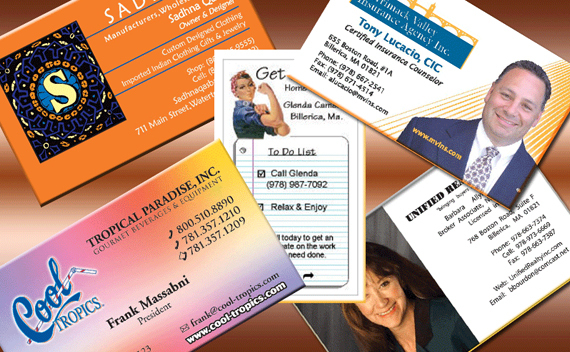 Creating your own business cards has never been so easy. 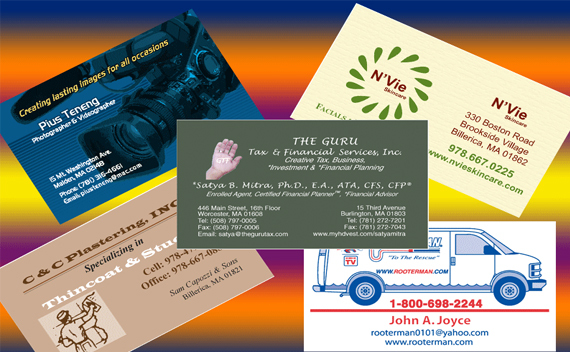 Your Business card is the most important element of your visual identity. It's the first thing people see when they meet you. 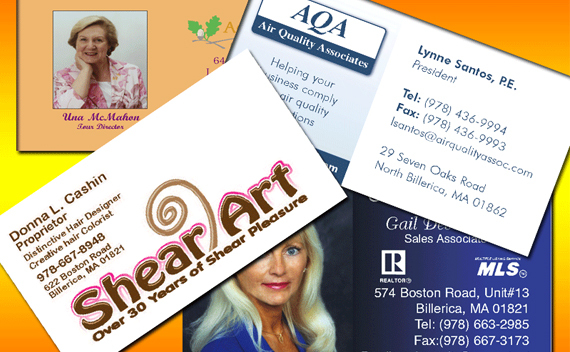 If you are in rush, we are your printer!